I had to miss out on joining Ginny’s Yarn Along last week because I was just so busy at work that it affected my few free hours quite a lot. I was in the office until 10 p.m. every night last week. Now this week it is back to normal and I’m happy to join again this week. First of all: I’m done! I finally finished my comfy cardigan just yesterday night! After having to rip back rows about four times around the raglan arm part, I finally made it and it fits. having included the seeming already in the knitting I only had to finish that around the neck and I even finished sewing and weaving in loose ends. Good that we now have spring… But hey, the weather forecast says it might be snowing again on friday which is good for wearing my new cardigan but really bad for my newly planted primroses. 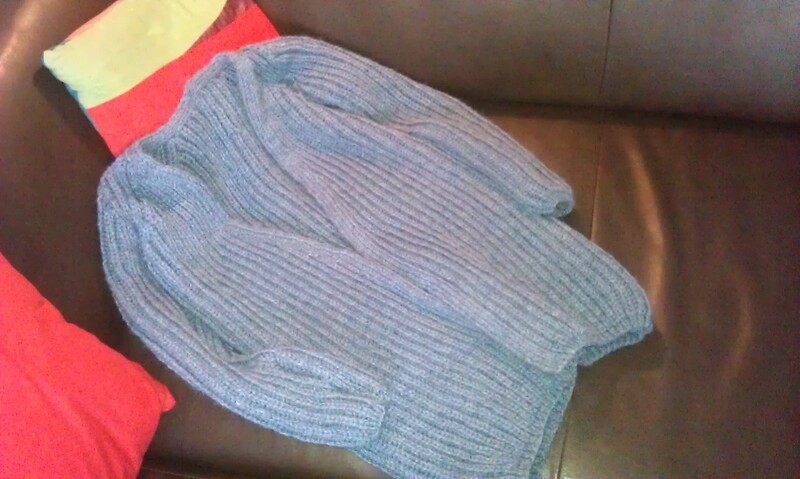 Next project to come is the rework of Michael’s cardigan. 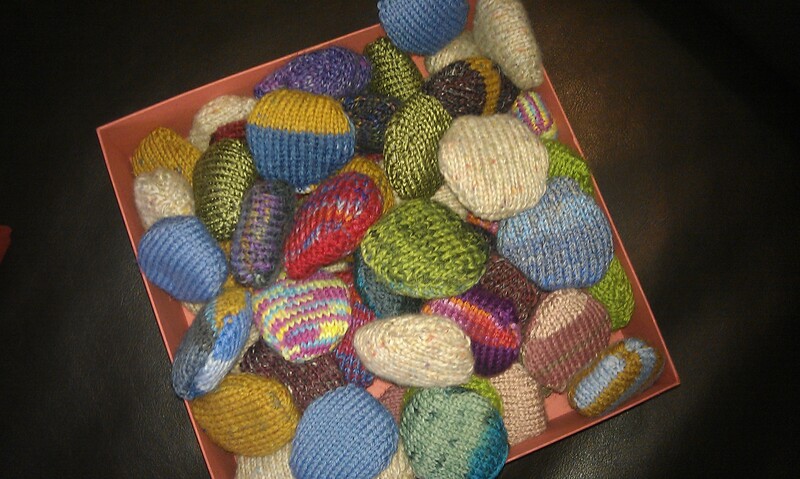 And here are my hexipuff for January and February. I was able to do about 10 on my flight to London (no, nothing much to tell about the trip as we had lots of family time with Michael’s nieces and otherwise went shopping for shoes, many shoes…) and back. I think, I can make one for each day this year even though I’m a bit behind just now because I concentrate on the cardigan and a new project this week. 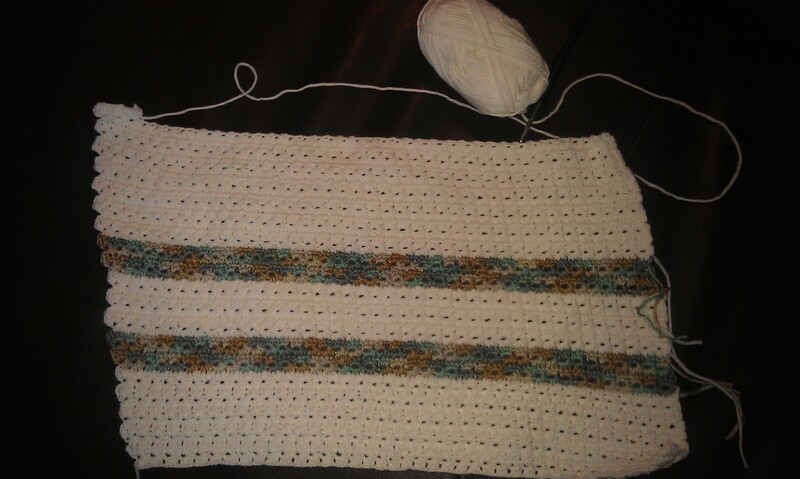 The new project is a cute little baby blanket for the pram. Lately I’ve been in contact with my best friend from primary school again and she is having a baby any day now so I thought this would be a good chance to do some baby knitting and, believe it or not because I really don’t like it that much, crocheting. I saw a blanket in a nice star stitch over at Little woolies some Yarn alongs ago and I thought I might try that. And now this is a good stash buster too. But I have one question: my blanket moves slightly to the left. I keep my amount of stitches but I don’t knit straight. It looks more like a parallelogram than a square. Has anyone advice on why this happens or how I could avoid that or do I have to simply block it and that will help? Concerning reading, after finishing another Darmstadt Detective story, I came back to “A Feast for Crows” again. I get along quite well but will switch to another great crime story again. This series by Volker Kutscher is set in 1920/30s Berlin and this time setting is very interesting because in addition to the crime story you get a good background knowledge on politics and normal life in that time. I highly recommend them. 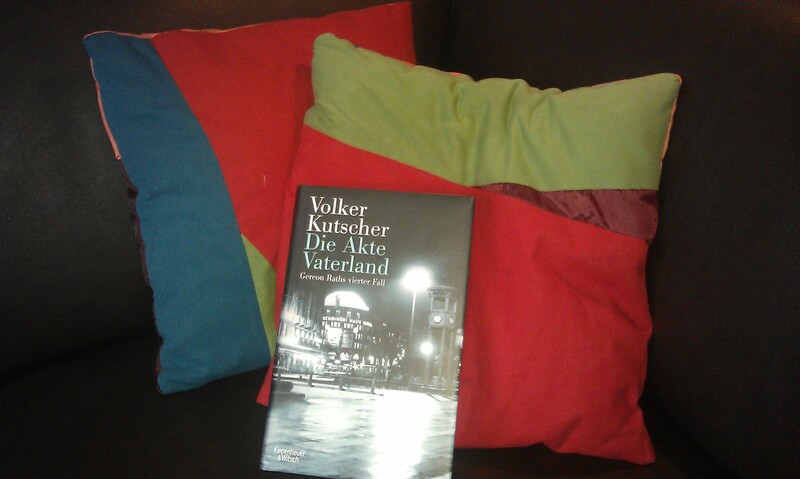 I’m reading the newest one, Die Akte Vaterland, and as it is my mum’s I try to finish it before I go to see her for Easter.